This Friday our weekend inspiration comes from Scenic Route Paper, in particular their two gorgeous new lines Ashville and Sumner. Vibrant colours with a line of co-ordinating printed kraft papers, these papers are fun and versatile and could probably adapt to just about any theme. We love papers that can do that. 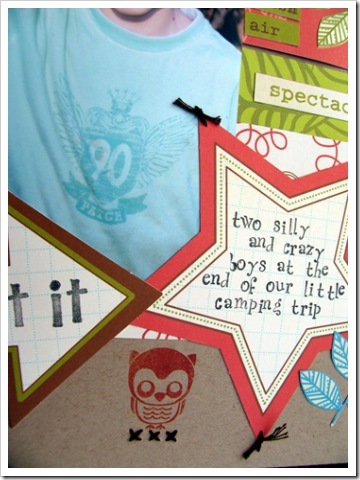 The line also carries chipboard themed shapes, stickers, alphas, everything you need really to record some great memories. Starting this week, we're not just sharing inspiration. We've decided to have fun with a bit of a giveaway in the form of a sample pack of whatever we're featuring on our weekend inspiration post each week. Leave a comment on this post and we'll draw a random name to receive a sample pack of these gorgeous Scenic Route Paper patterned papers, embellishments and alphas. We'll close comments next Wednesday and announce a winner, so make sure you get in before then for your chance to win! 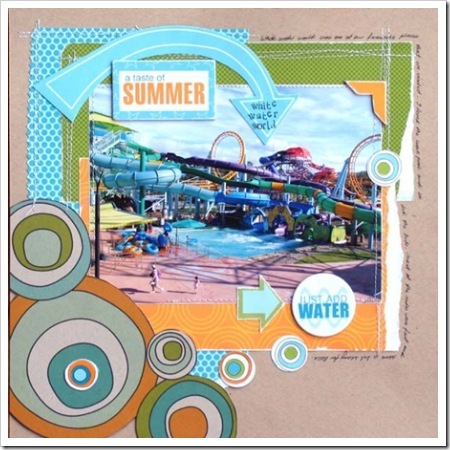 A fun, boyish layout by Mel using the Sumner range of patterned papers from Scenic Route. 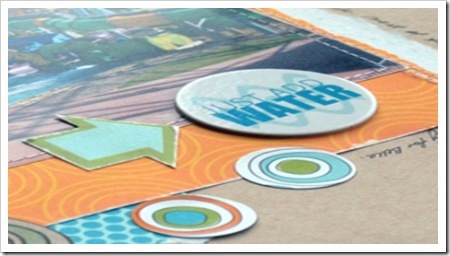 The leaves have been hand cut from some of the patterned papers in the range and the Journaling Die Cuts are cool and very funky for titles and ofcourse their original purpose - journaling! The new Sumner range by Scenic Route is incredibly fresh with beautiful tones of crisp blue, green, red and cream, just to name a few colours that are included in the range. 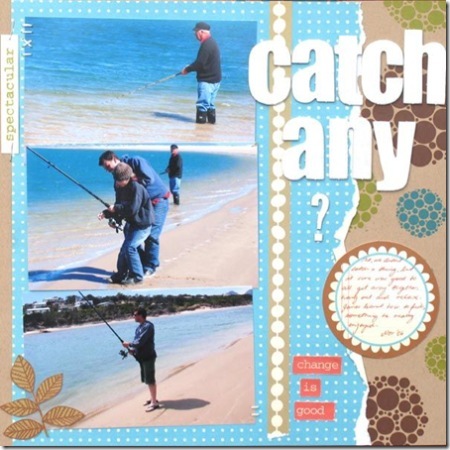 For this layout Mel has used a sheet of Kraft Willow patterned paper for the background and then drawn attention to the blue water in the photographs by placing some Parker Road patterned paper directly underneath the pictures. And one more layout from Mel using the earlier Metropolis range. Again lots of fresh orange and blue on a kraft background, these are perfect photos for scrapping those summer photos. 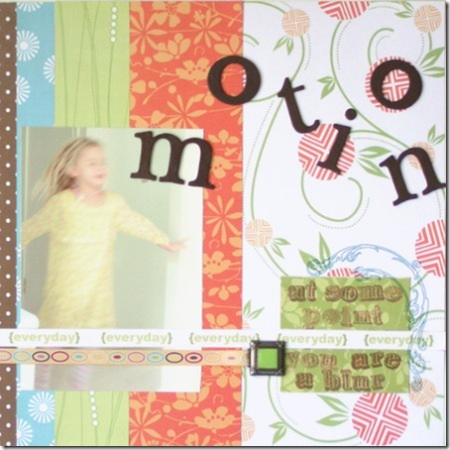 Suz scrapped this simple layout of her daughter in motion using the new Scenic Route Ashville range. 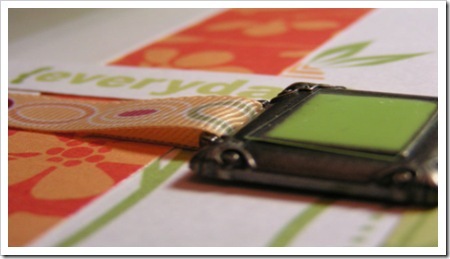 The vibrant oranges greens and blues of the patterned papers are just happy and lively which reflect the photo. We have the lovely Jane Fitchett to thank for this work of art, celebrating her daughter's art. 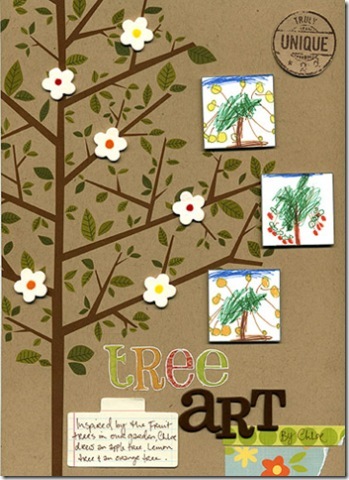 Jane has used the Kraft Tree paper from the Ashville range to simple but stunning effect to showcase some of the pictures of fruit trees her daughter drew. We love the whimsical look she ended up with. 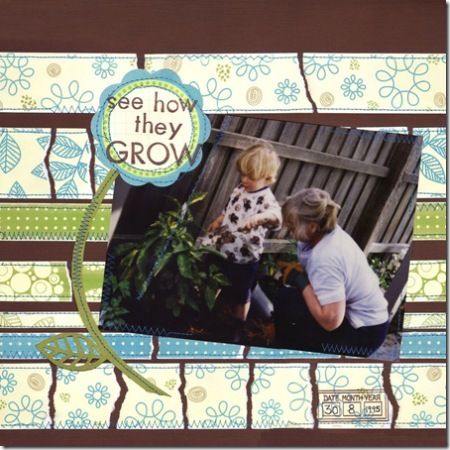 Anita Letts has captured the sweetness of this photo perfectly in her stunning layout. The black and white pic looks gorgeous with the scattering of Scenic Route papers and the journaling accent helps balance the layout nicely.